Now firmly established in the Jazz Festival programme, this hotly anticipated event is an exciting and interactive introduction to live jazz. The concert will feature performances from Festival artists alongside up-and-coming musicians who have a passion for engaging and inspiring young audiences. Booking opens on Monday 28 January 2019 at 8am. Please note that booking is limited to 60 pupil places per school in the first instance. Fill in the booking form below to secure your place. The concert was fab – a great collection of songs/pieces for performances, it was great to hear so many different styles. 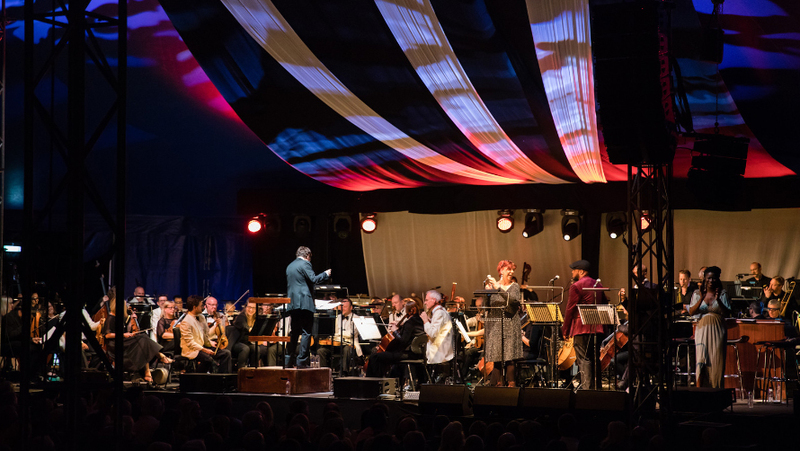 What is involved in producing a concert that integrates a 70-piece Concert Orchestra, numerous vocalists and a compère, in a temporary structure, for an audience of 2,000 – to be broadcast live on the radio? What is a floor manager? What does the sound engineer do? How is the rehearsal process managed? Who coordinates everyone? What actually goes on behind the scenes? For young people who want to broaden their understanding of careers in the music industry, and how to get a foot on the ladder, this is their chance to go behind the scenes and find out. Anthony Cherry, producer of BBC Radio 2’s Friday Night is Music Night, as well as other key professionals involved in the show, will share their experiences of getting into and working in the music industry. Students will then have exclusive access to the show’s rehearsal in the Festival Big Top to see the professionals in action. Booking opens on Monday 28 January 2019 at 8am. Please note that booking is limited to 20 student places per school in the first instance. I could not hope for a better example of a premium music/broadcast experience just half a mile away from campus! 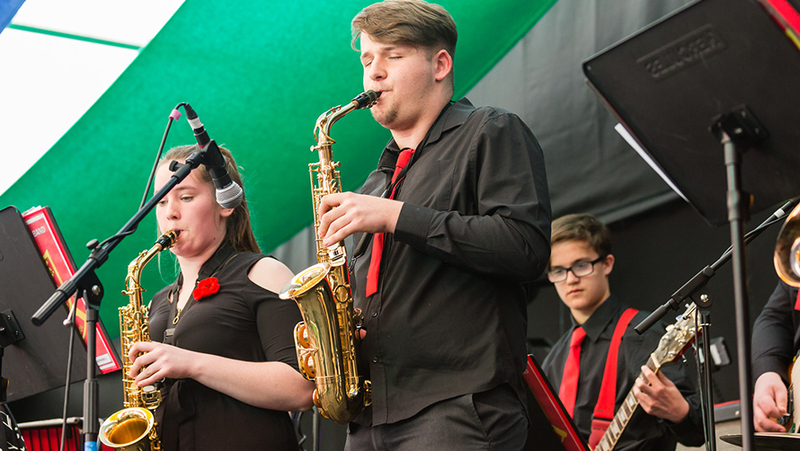 For many school jazz bands Jazz It Up is an annual highlight, a unique opportunity to perform at the heart of the Jazz Festival in Montpellier Gardens. If your school has a jazz band – newly formed, firmly established, or somewhere in between – why not encourage them to apply for a performance slot? 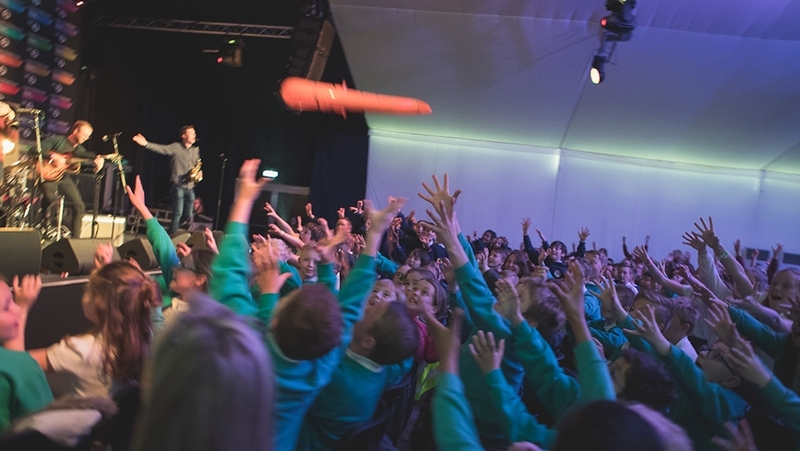 The Free Stage belongs entirely to young musicians from Gloucestershire secondary schools on weekend mornings. Jazz It Up draws a large, enthusiastic and appreciative audience – not to mention the occasional jazz legend – who love to show their support for young talent, so don’t miss this chance to impress. Excellent venue, audience and weather! It’s always the highlight of our Jazz Band year! Thank you once again for giving us the opportunity and see you next year! It was a really exciting, unique experience to perform at the Cheltenham Jazz Festival.